Dunkin’ Donuts is Giving Away FREE Donut Fries at Select Locations! 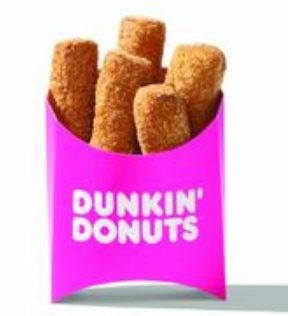 The first 100 guests at 25 participating Dunkin’ Donuts restaurants across five U.S. markets, will receive a free order of Donut Fries from 10am to 2pm local time on National Fry Day, Friday, July 13. Are free Donut Fries coming to a store near you? Check out the list below to find out! Guests everywhere can join in on the celebration this Friday by enjoying our new Donut Fries served in a special limited edition fry box. Plus, the are having even more in store for National Fry Day. Stay tuned to find out!